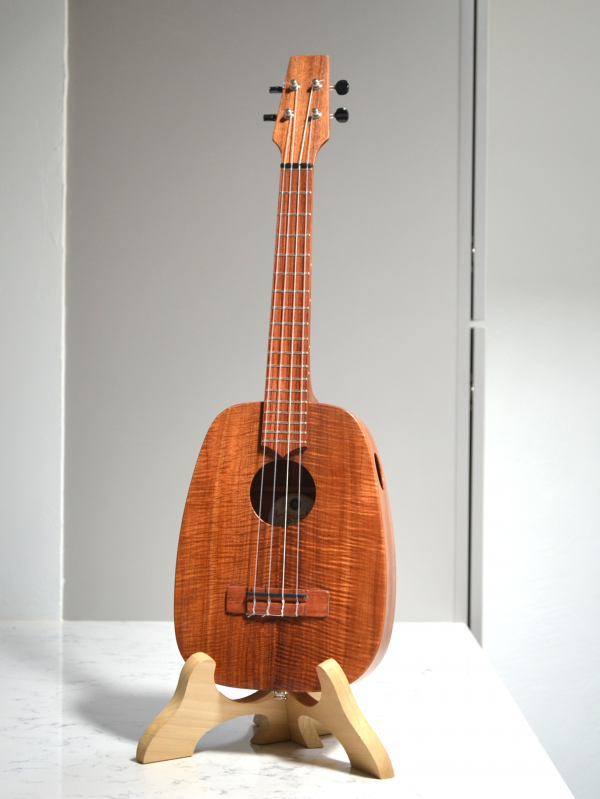 “Benjamin” is our very first Koa ukulele and it’s made for my nephew who is it’s namesake. 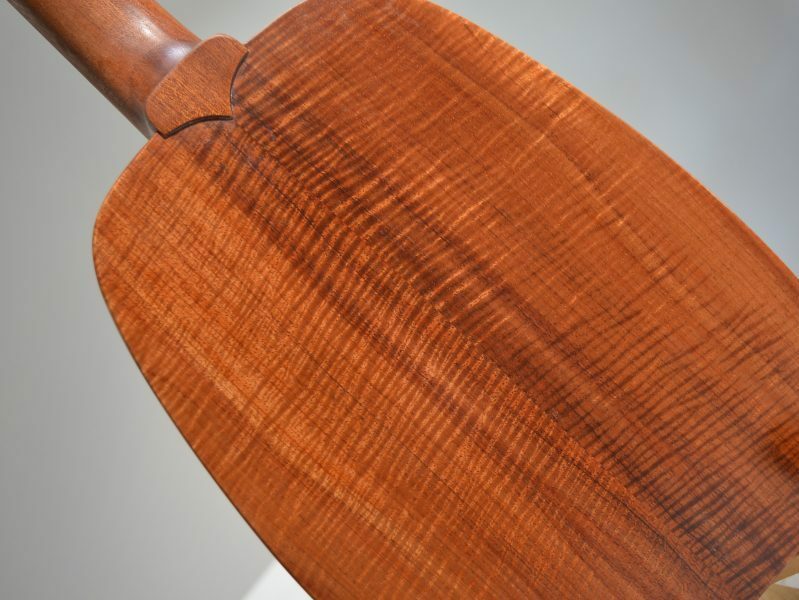 It uses wood that was gifted to us so it carries special meaning. 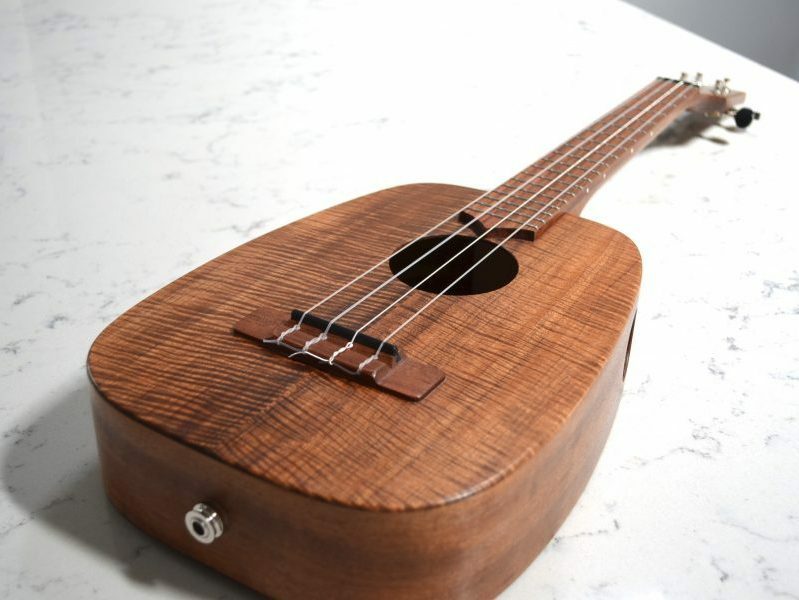 This ukulele is an IDeale tenor that is set up to be tuned as a tenor or a bari-tenor. This is one of the advantages of a zero fret. 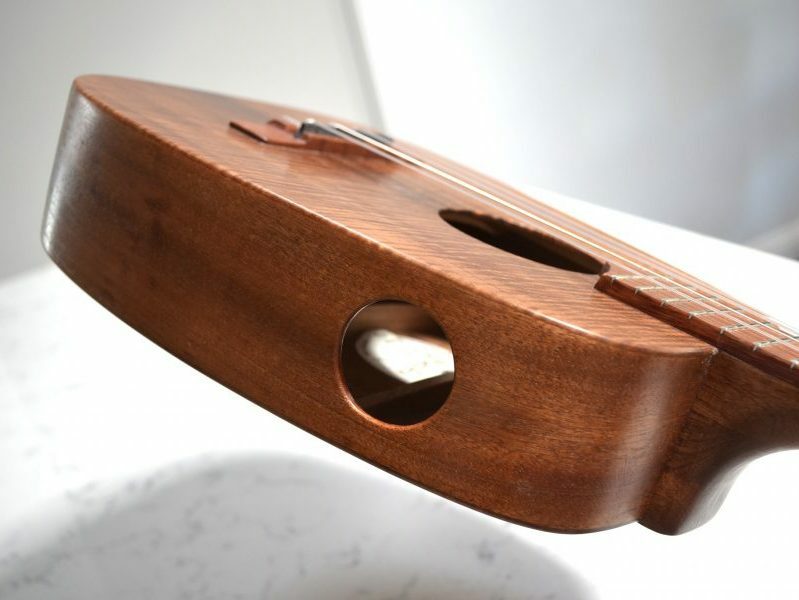 The nut slots can be made to accept different tunings and string diameters. It can actually be tuned with reentrant tenor tuning as well. 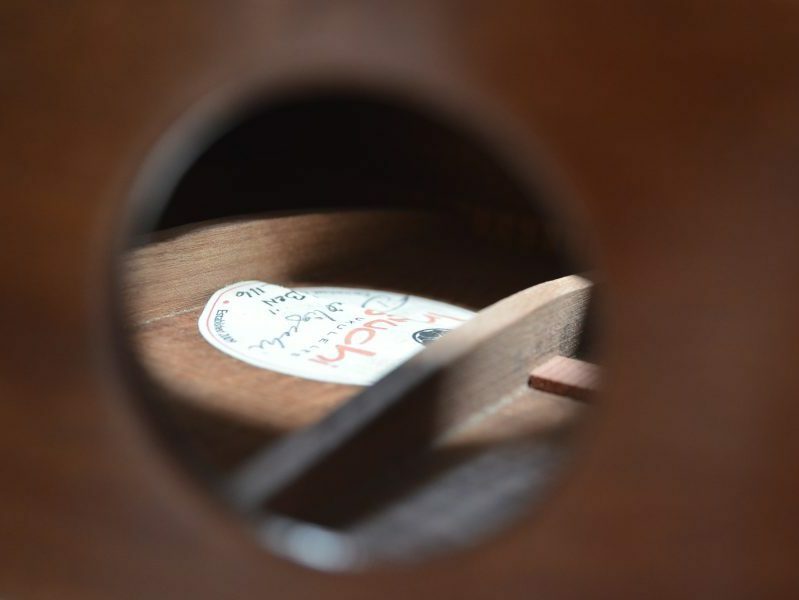 Ukulele Benjamin is an IDeale™ tenor Keystone. 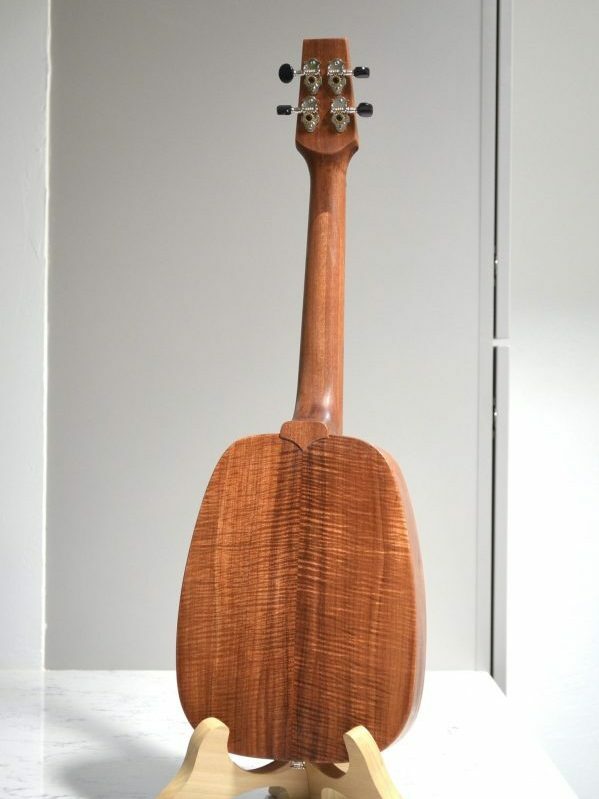 That is, it has an IDeale-size body with a tenor scale neck. 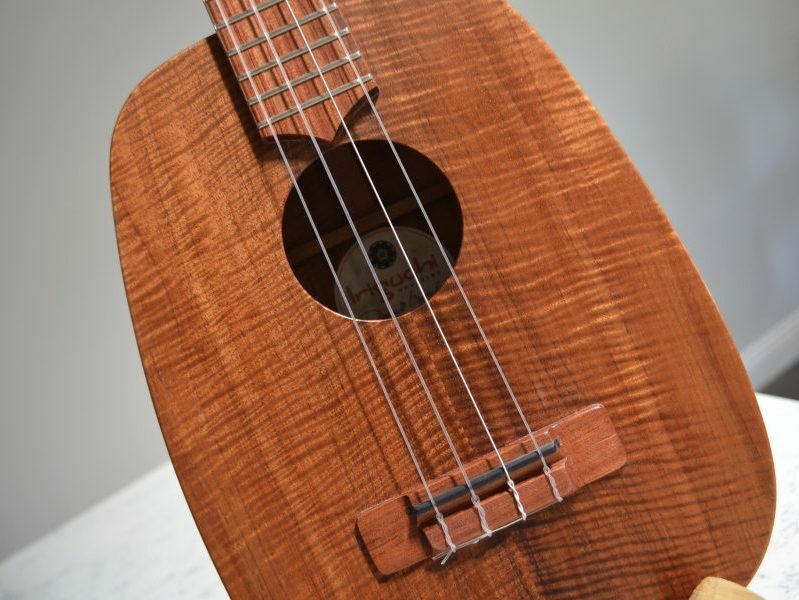 It comes with a K&K Sound Aloha Twin pickup and is tuned reentrant bari-tenor.